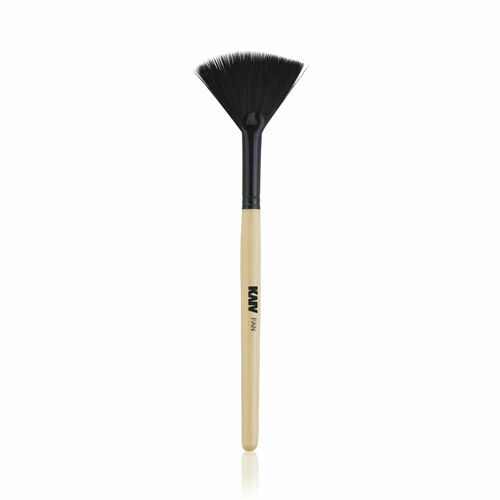 Kaiv Fan Brush is used to dust off excess powder from the eyes and cover creases of the nose and eyes. It is often used to apply a setting powder for a soft-focus look. It can also be used to apply highlighter.